The stars of Formula One’s present and future impressed at the Bahrain International Circuit during the first in-season test of 2019. 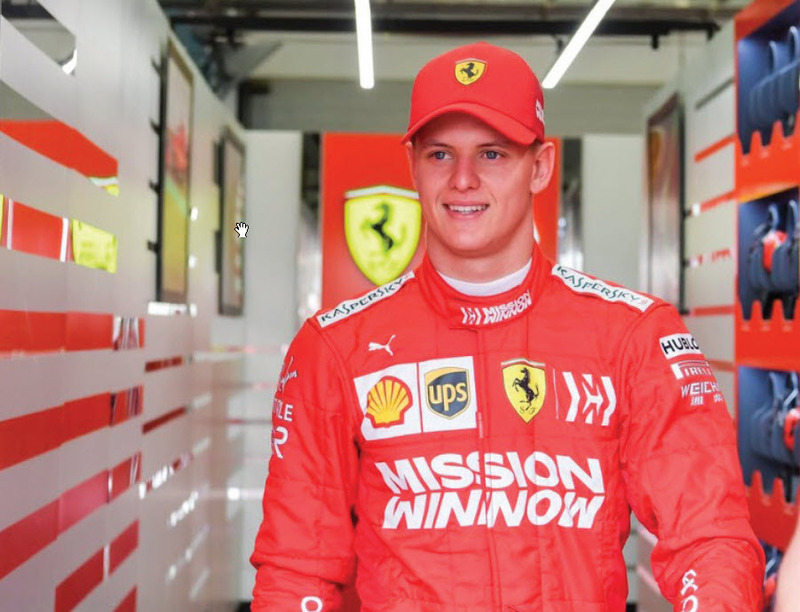 The eye of the global sport’s media was focused on Mick Schumacher, son of legendary seven-time champion Michael, who drove a Ferrari for the first time and set the second fastest time on the first day. The 20-year-old completed 56 laps and was set to be fastest until pipped by Red Bull’s Max Verstappen. On the second day, he drove for Alfa Romeo and achieved the sixth-fastest time. Schumacher said he found Ferrari’s 2019 car ‘incredible because of the power it has but it is also smooth to drive’. Like many drivers on their first experience of an F1 car, Schumacher said he had been wowed by its braking capabilities. “It seemed to me you could brake later and later and the car would have made the turn anyway,” the German added. A member of the Ferrari Driver Academy, who was often around the team with his father during his childhood, Schumacher said: “It felt like home in the garage from the first moment, with a lot of people that have known me since I was very young”. Schumacher was using tyres two grades softer than Leclerc had, but testing times are notoriously meaningless on their own as teams do not reveal the specifications in which they are running their cars – fuel loads, tyres and engine modes make a significant difference to lap times. Unusually, the first day of the test was disrupted by rain in the middle of the day, despite the track’s desert location. But the 37-year-old said it had not changed his mind about leaving F1. He said he doubted he would ever return but the only thing that might tempt him back would be a title-winning car. On the second day of testing, George Russell set the fastest lap. The 21-year-old British rookie showed his true potential following his early season struggles with the floundering Williams team. Unsurprisingly, his time was set in the W10 car of the reigning constructors’ world champions Mercedes, of whom Russell is part of the Young Driver’s Programme, as opposed to the Williams.